Pick up at Tirana airport and transfer to Hotel. Time permitting we will visit the National Historic Museum in Tirana offering an in depth introduction to Albanian history from prehistoric times to the present day. Traditional Albanian restaurant suggestions for dinner will be given. Overnight in Tirana. After breakfast we drive to Shkodra the most important town of north Albania and the Illyrian capital, in the 3rd century BC. Visit Rozafa Castle from where spectacular views all around can be admired. Experience the supremacy the Illyrians would have feel over their enemies standing in such an imposing castle. We will also visit the Marubi Photographic Museum with a selection of prints of negatives taken in starting from the second half of the 19th century till the 1900-s, illustrating the life of the population of the area in that period. Take a walk in the newly renovated pedestrian area of Italian and Austrian architecture, testimony to this town historic links with both these countries. Proceed to Kruja - the centre of Albanian resistance against the Turks under our national hero Scanderbeg. He kept them from crossing into Western Europe for 25 years, thus earning the title “Champion of Christ” given by the Pope of the time. 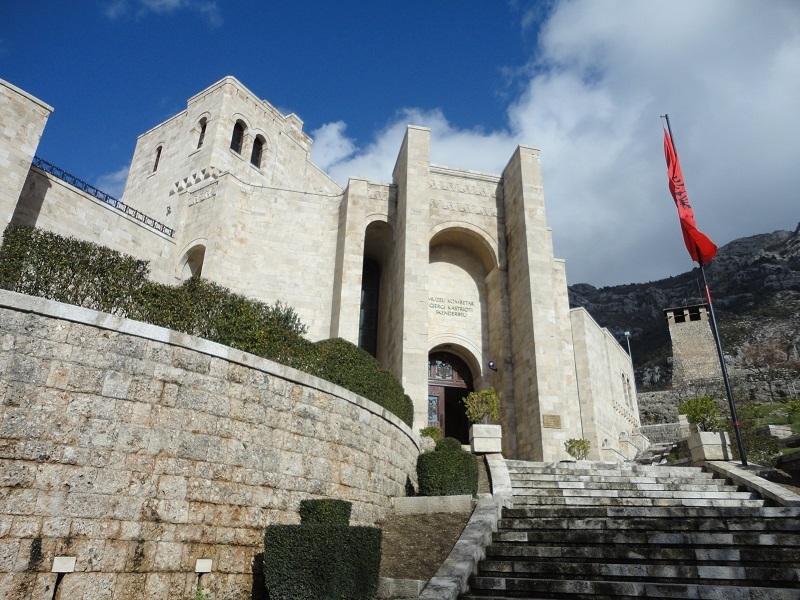 We visit the Skanderbeg Museum, a very rich Ethnographic Museum and the Old Bazaar where the best handmade souvenirs can be purchased. 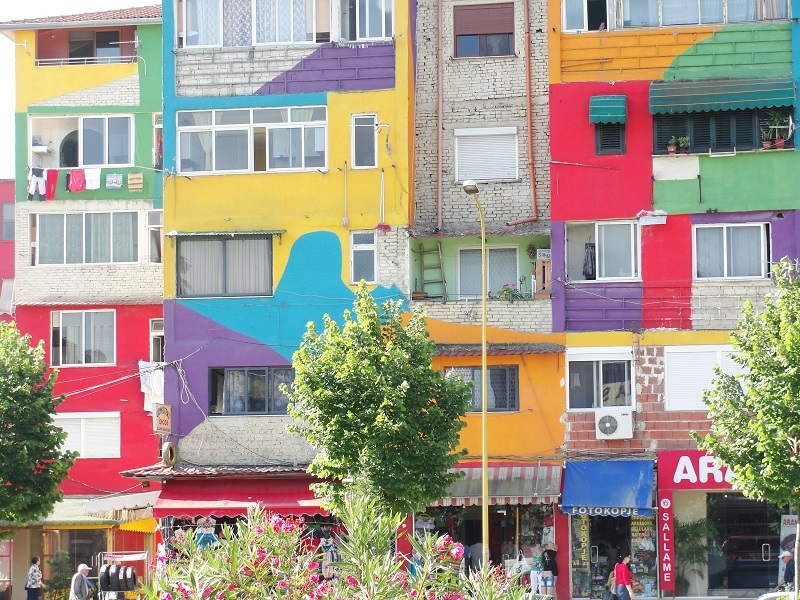 Return and overnight in Tirana. Depart to Vlora where Albanian Independence was proclaimed. On the way we stop at the Monastery of Ardenica, supposed to have been built in the middle ages, as argued by a stone in entrance dating back to the 1417. 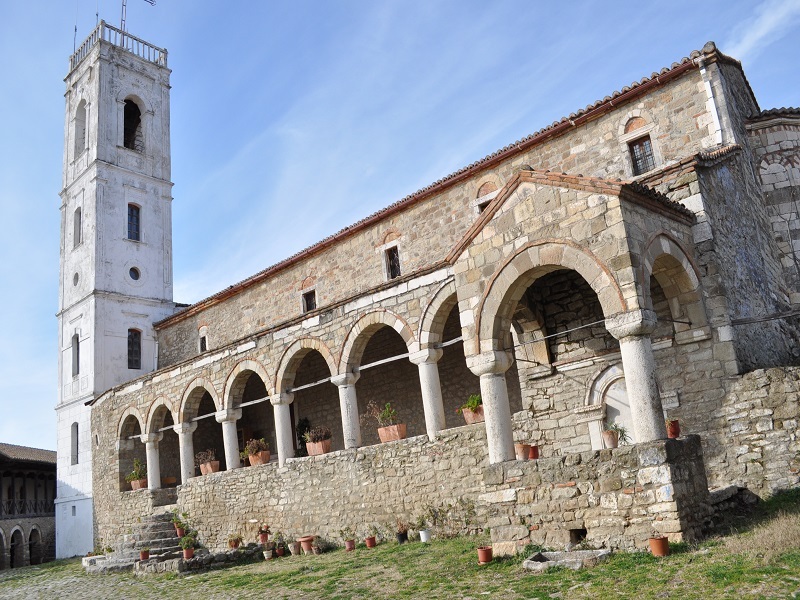 In fact it is said that Scanderbeg was married at the small chapel of Ardenica. Today inside the church you can admire icon paintings of 1743-1745, by Albanian artists such as Konstandin and Athanos Zografi, as well as Konstandin Shpataraku. Proceed to the ancient city of Apollonia situated on the famous Via Egnatia - one of the most important cities in Roman times. Due to its fame and importance it was known as Apollonia Prima out of 16 ancient cities built to honour Apollo. Caesar chose to send his nephew Augustus Octavian to study oratory in Apollonia revealing the importance of this ancient city. 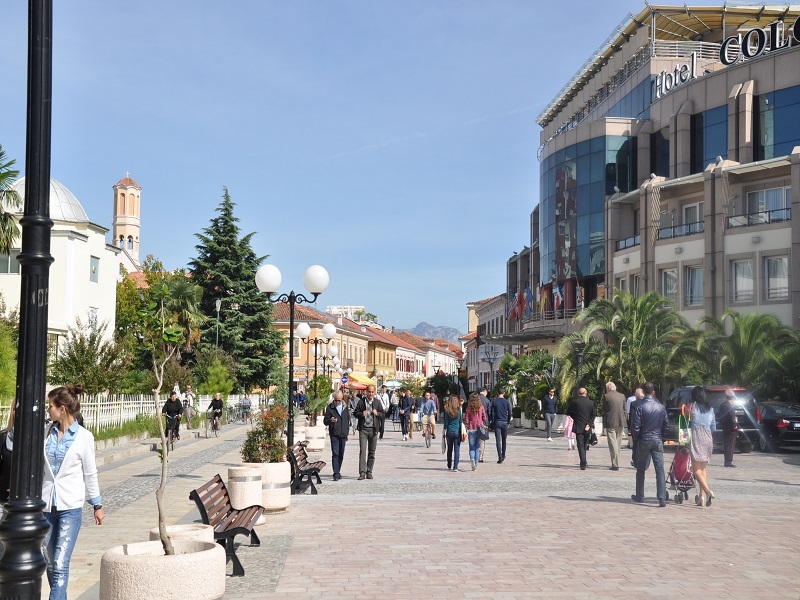 Afterwards we continue to Vlora where we visit the Independence Museum, situated in the original house where the first Independent Albanian Government had its offices. Afternoon and evening at leisure. Overnight in Vlora. After an early breakfast we depart for Saranda. Drive on the spectacular Albanian Riviera looking down at the Ionian Sea. Breathtaking sceneries await us at the Llogara pass - 1000 m above sea level. We continue on to Saranda, make a short stop at the fortress of Ali Pasha a fortification used to control the sea trade routes. 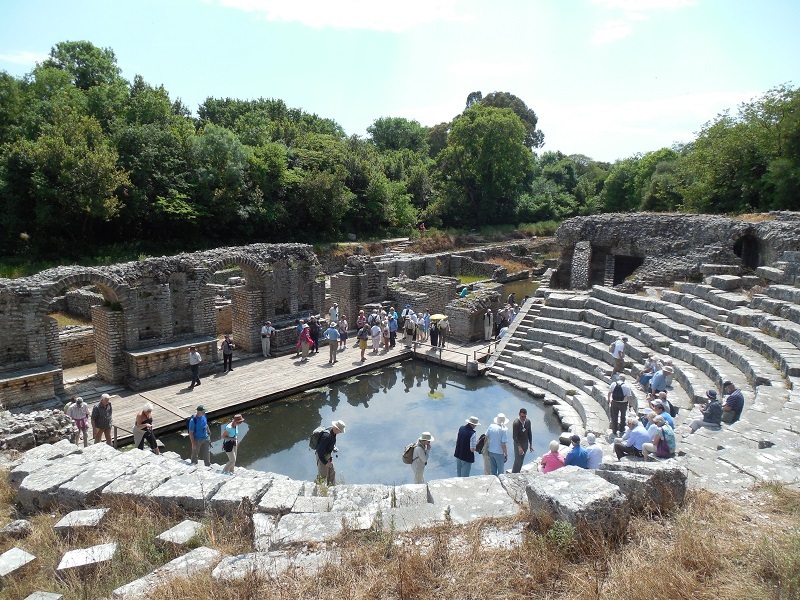 Then we continue past Saranda, to the ancient city of Butrint a UNESCO world heritage site and the most important archaeological discovery in Albania. Legend associates this city with Trojan settlers who fled Troy under the leadership of Aeneas. In fact the city was first settled by Greek colonists and was continuously inhabited for centuries forming archaeological layers of several eras of civilization. Apart the beautiful antique ruins it has the added benefit of being situated in a beautiful peninsula, rich in flora and fauna. After the visits we return to Saranda for overnight. After early breakfast we drive to Berat. On our way lays Gjirokastra, a UNESCO site and museum town with beautiful and very distinctive architecture. Visit the medieval Castle which used to be a political prison during the communist dictatorship and the Ethnographic Museum which is also the house the Albanian dictator was born in. We suggest the group should stop for lunch close to Tepelena at a traditional restaurant (optional) among beautiful scenery. 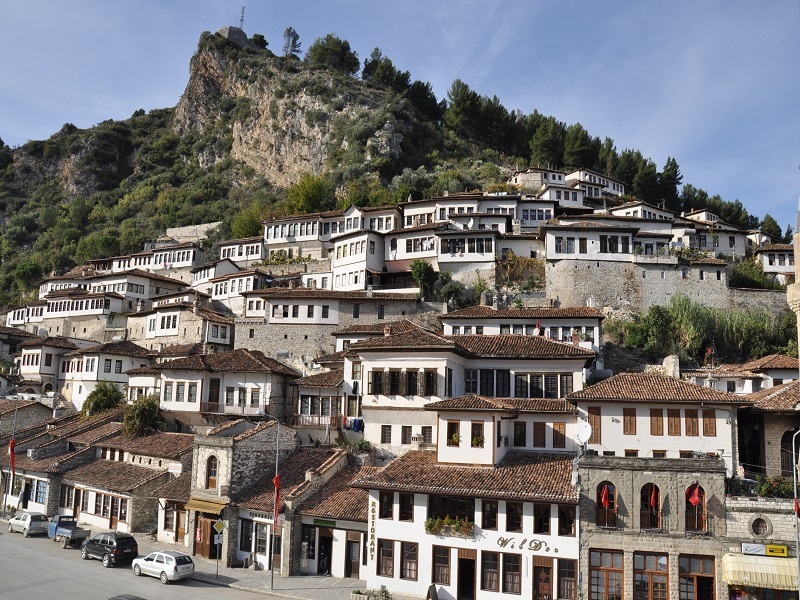 In Berat we check in at the hotel and the group is then left at leisure to explore Berat. Overnight in Berat is a unique experience staying in houses up to 300 years old turned hotels. After breakfast we visit the Castle and the Onufri Museum. 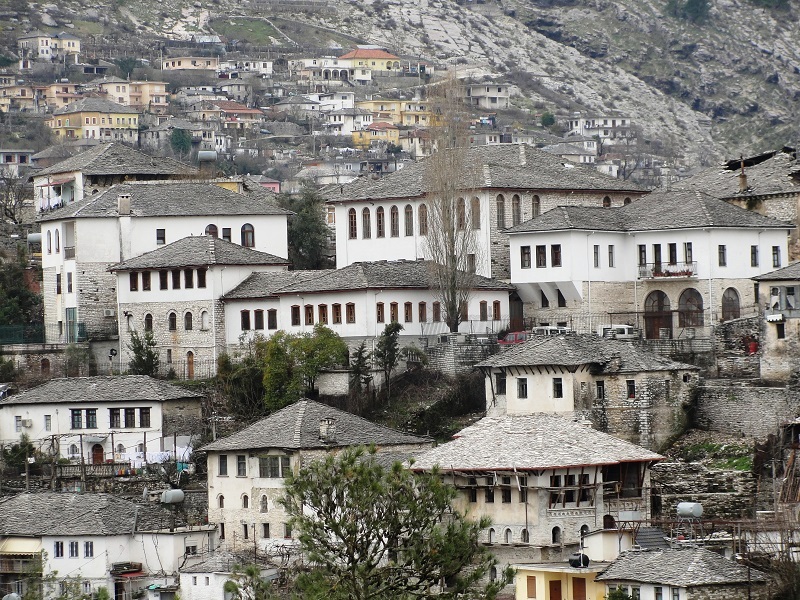 Berat castle is of particular interest as people still live within its walls in their traditional houses, as have their ancestors for centuries. The castle used to have over 40 churches of which 7 still remain, including one turned into Onufri Museum. Onufri was an Albanian Icon master painter of the 16th century who painted many orthodox churches in Albania and Greece. After this interesting experience we depart for Durres one of the oldest (founded in 627 B.C.) where we have lunch by the sea (optional). After lunch we take a sightseeing tour of the Amphitheatre situated in the middle of the modern city in an inhabited area, and the Archaeological museum rich in arte facts found in the city and its suburbs. After the visits in Durres return to Tirana for overnight. After breakfast we drive to the Airport. End of our Service. Experienced English speaking tour guide (separate driver and guide only for groups of 6 or more participants).